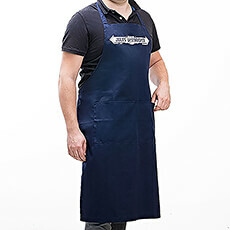 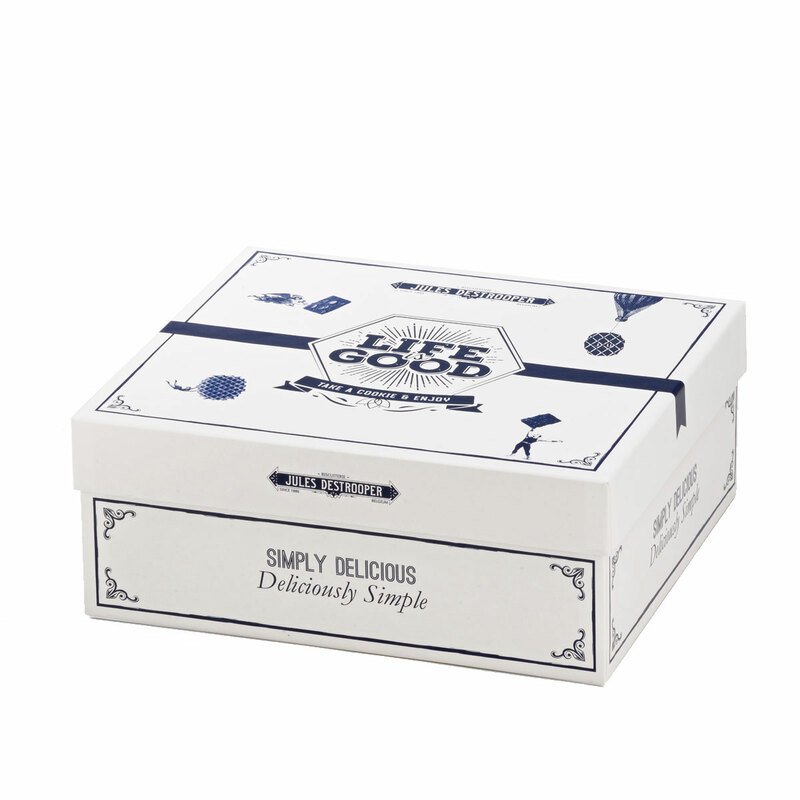 Discover the wonderful world of Jules Destrooper biscuits with this collection of European gourmet cookies. 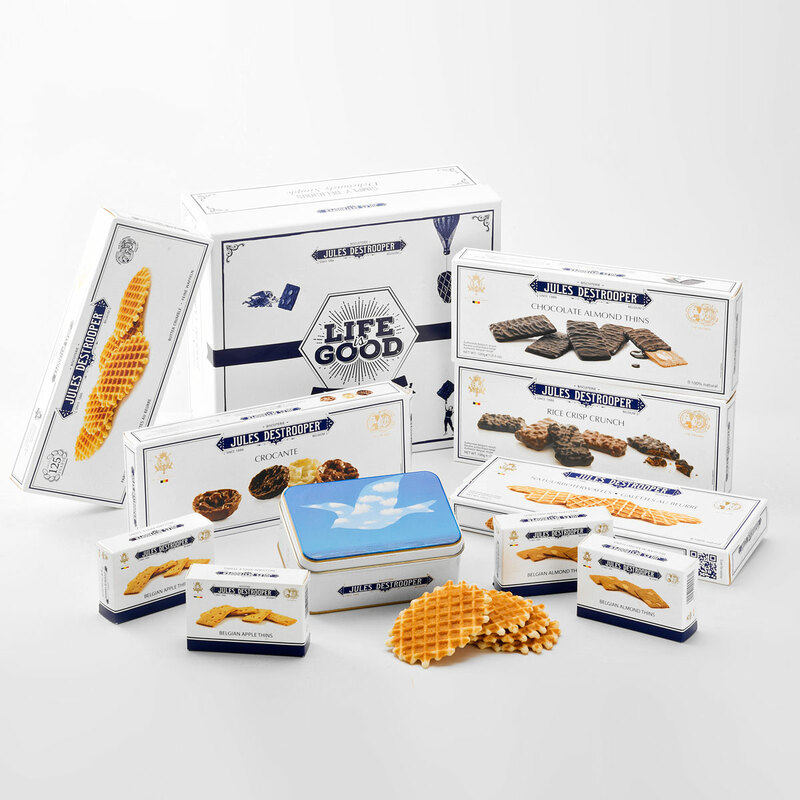 From the classic almond thin to an old world favorite--the hazelnut florentine--you'll enjoy bite after bite of buttery goodness, fresh flavor, and simple perfection. 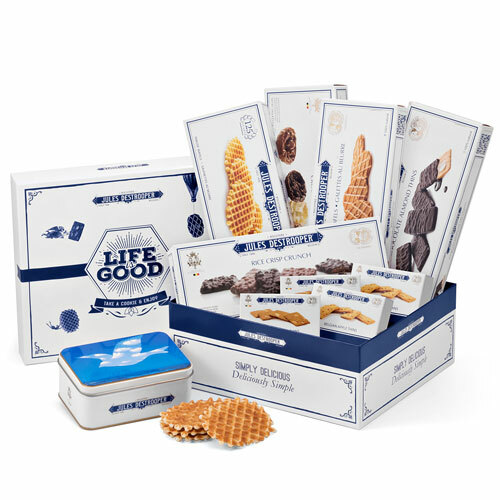 A signature blue Destrooper gift box is hand packed with Almond Thins, Chocolate Thins, Hazelnut Florentines with Crispy Rice, Butter Crisps, and Butter Waffle biscuits. 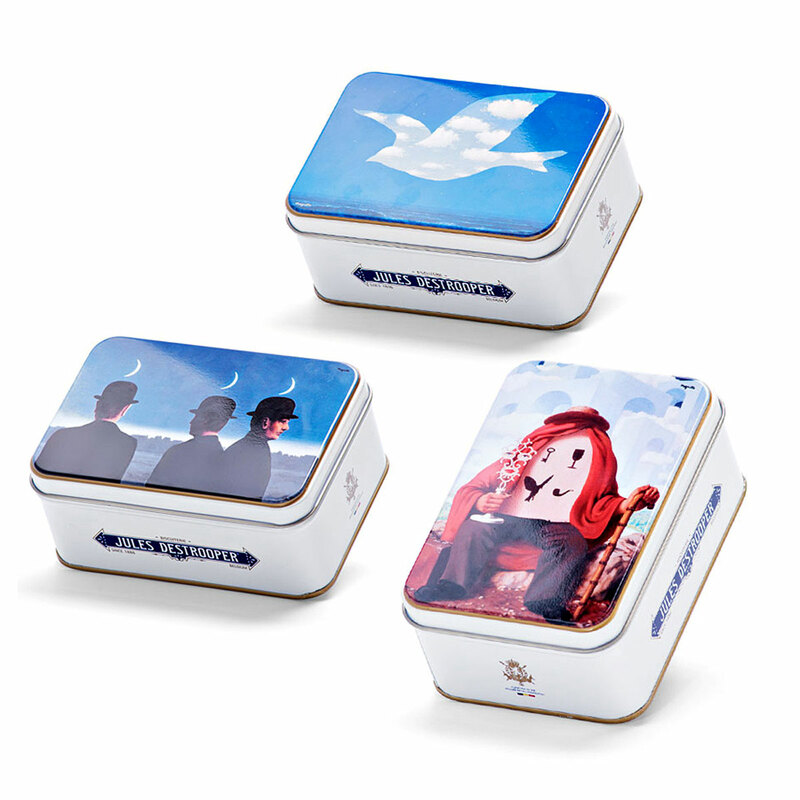 The gift set also includes a whimsical tin mini gift box with butter crisps decorated with a famous Surrealist image by Belgian artist René Magritte. The perfect office holiday gift to show appreciation for colleagues, clients, employees, and mentors.